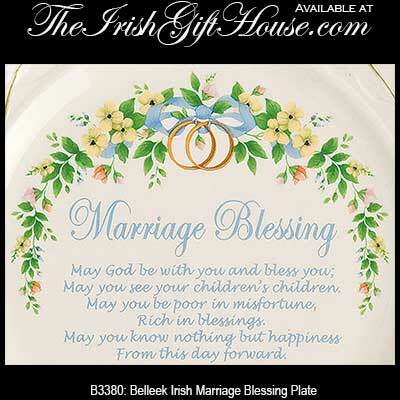 Irish blessing plates category includes a variety of Irish blessing tableware that includes mugs and cups along with platters and glasses. 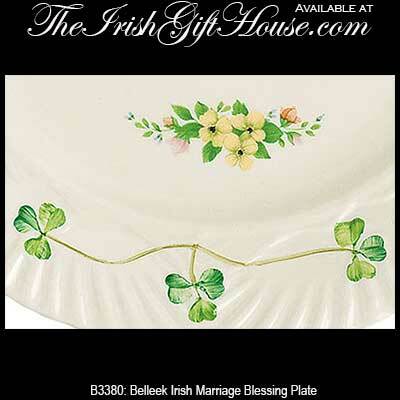 Belleek plate features a good luck Irish blessing along with a horseshoe and shamrocks galore. 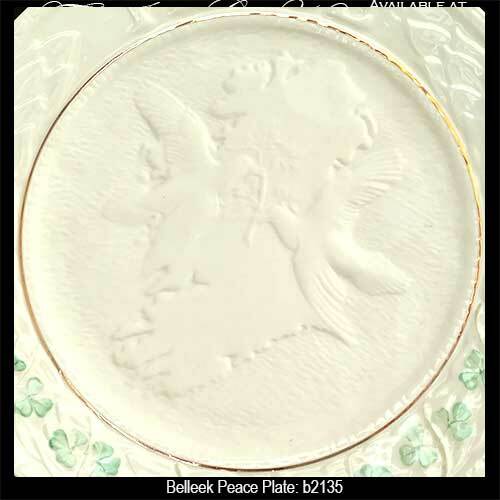 Sorry, this Belleek plate is now sold out. 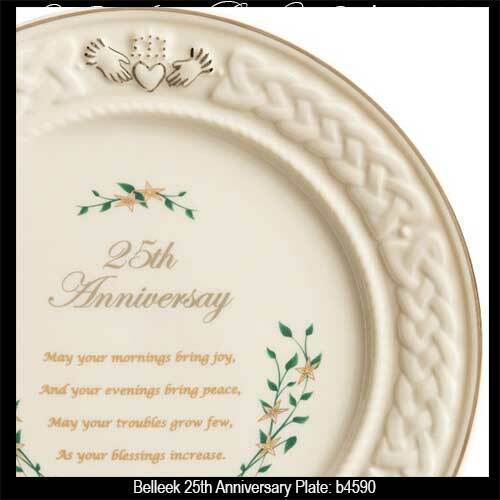 Belleek 25th anniversary plate features the Claddagh and Celtic knots along with an Irish blessing. 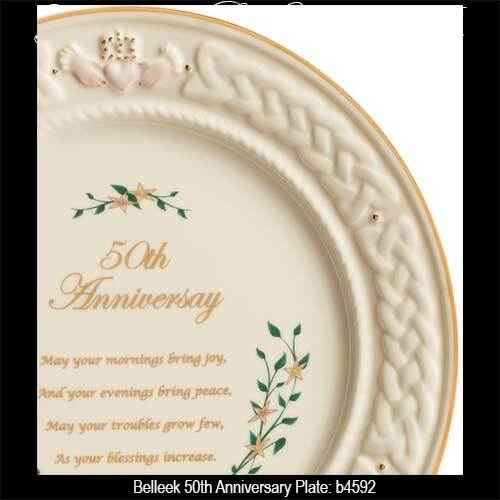 Belleek 50th anniversary plate features the Claddagh and Celtic knots along with an Irish blessing. 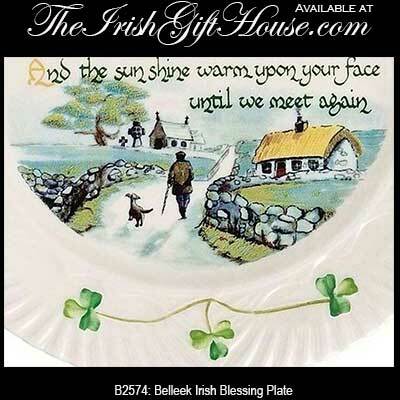 Belleek plate features a verse from the quintessential Irish blessing along with hand painted shamrocks. 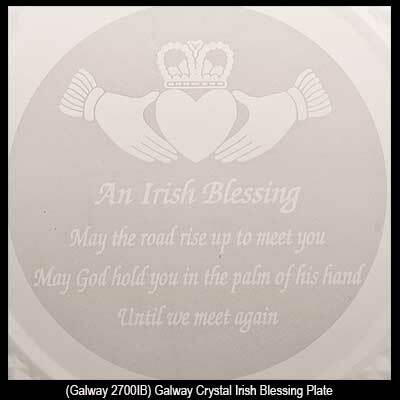 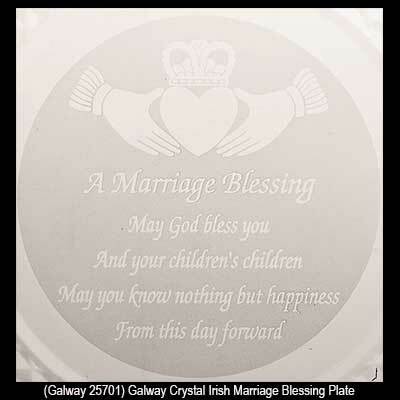 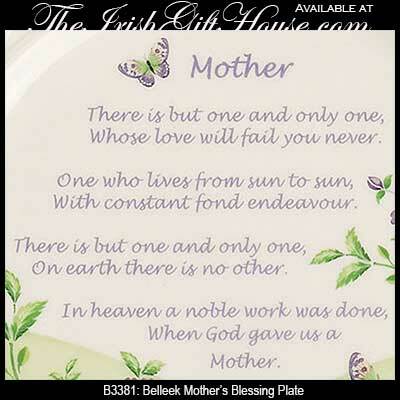 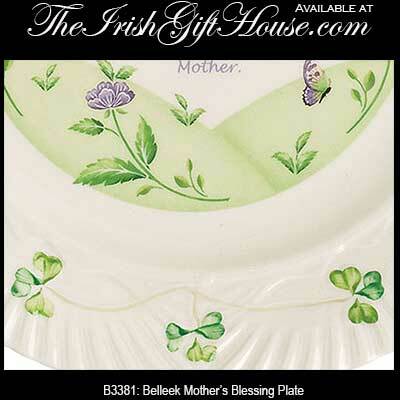 Belleek mother's blessing plate features hand painted shamrocks along with a sentimental verse for an Irish mom. 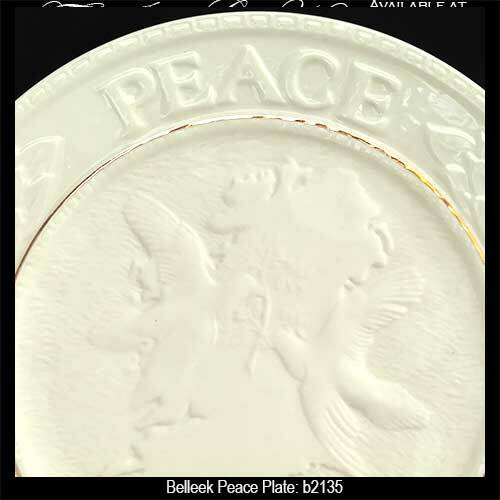 Belleek peace plate features an embossed design along with hand painted shamrocks. 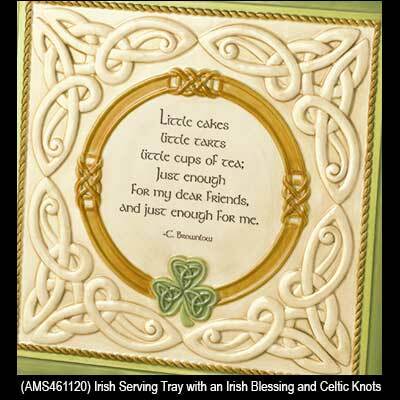 This Irish blessing pedestal dish with embossed Celtic knots would be ideal for serving cake or other delicacies. 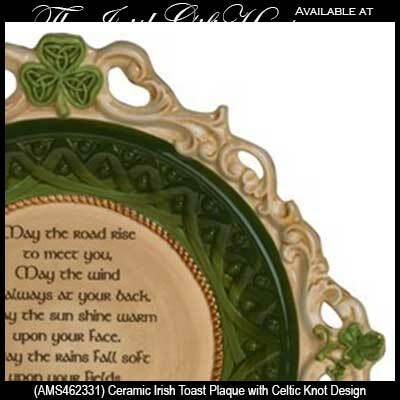 This plate features the quintessential Irish blessing and is enhanced with both Celtic knots and shamrocks. 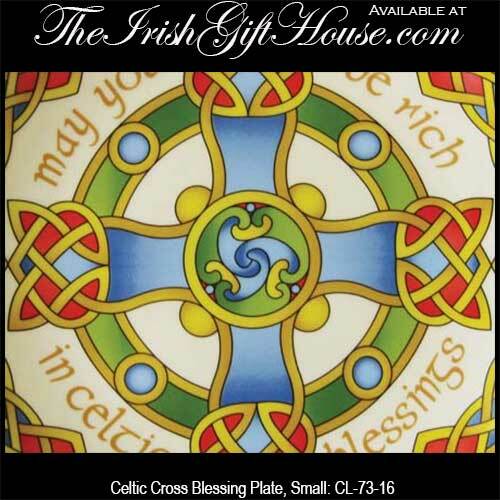 This Irish blessing serving plate is embossed Celtic knots-work. 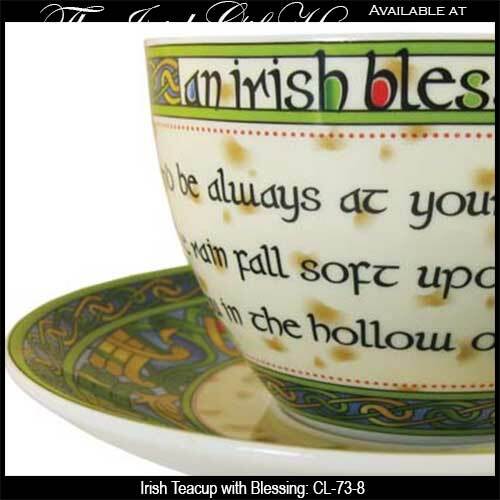 This Irish teacup and saucer features a traditional blessing along with Celtic knot-work. 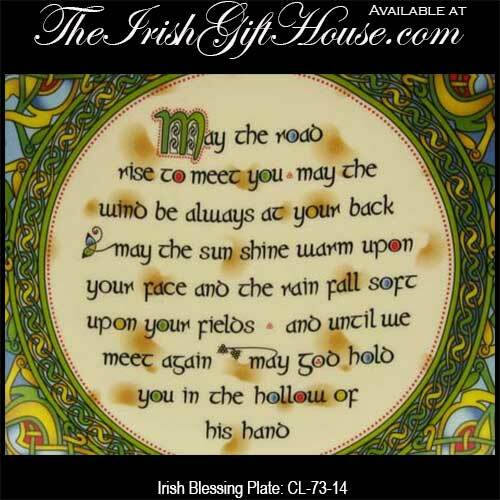 This fine china plate features a traditional Irish blessing that is enhanced with Celtic knot-work. 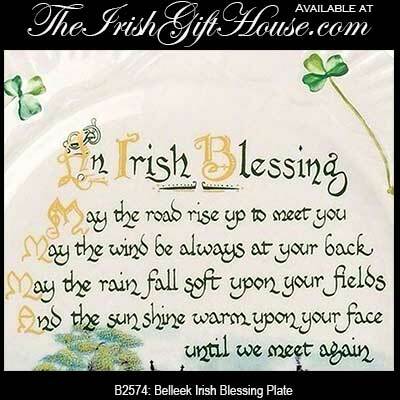 This plate features an Irish home blessing. 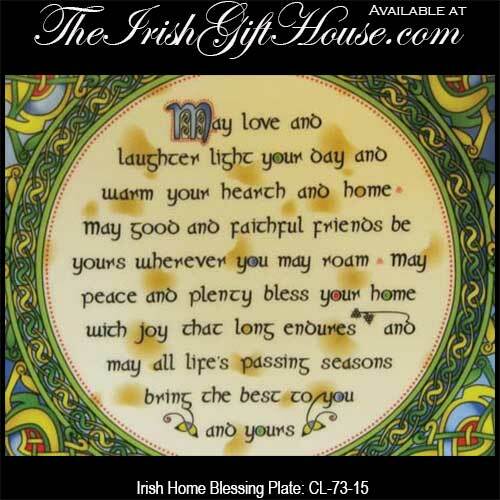 This Irish blessing plate features embossed Celtic knot-work.